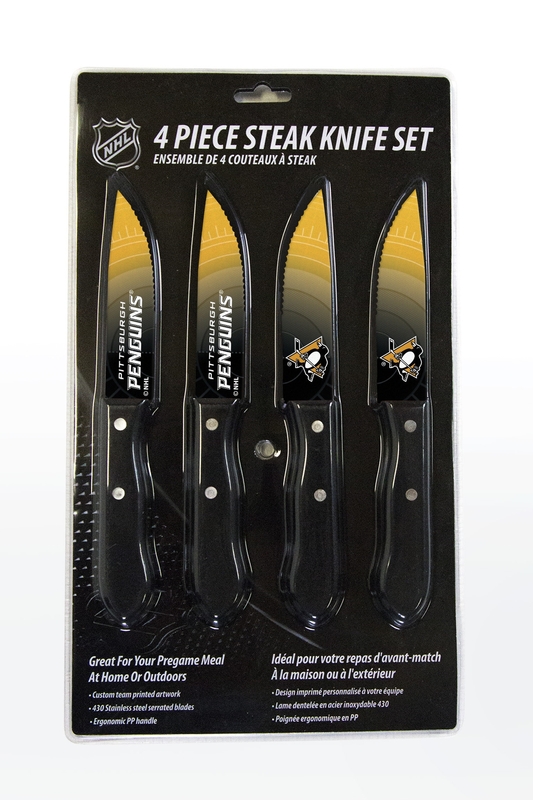 Boost your fandom with the Nhl officially-licensed Pittsburgh Penguins 4 Piece Steak Knives Set of 4. Each of the four knives displays the vivid Penguins color scheme and team artwork from the handles all the way down to the tip of both the blades. This set of knives have handles made from a highly ergonomic polypropylene. They feature a soft-grip with non-slip technology for maximum comfort and durability. The blades are stainless steel with serrated edges to reduce the need for sharpening. The blades have been dipped in surecoat to bolster the longevity of the brilliant graphics on the blade. 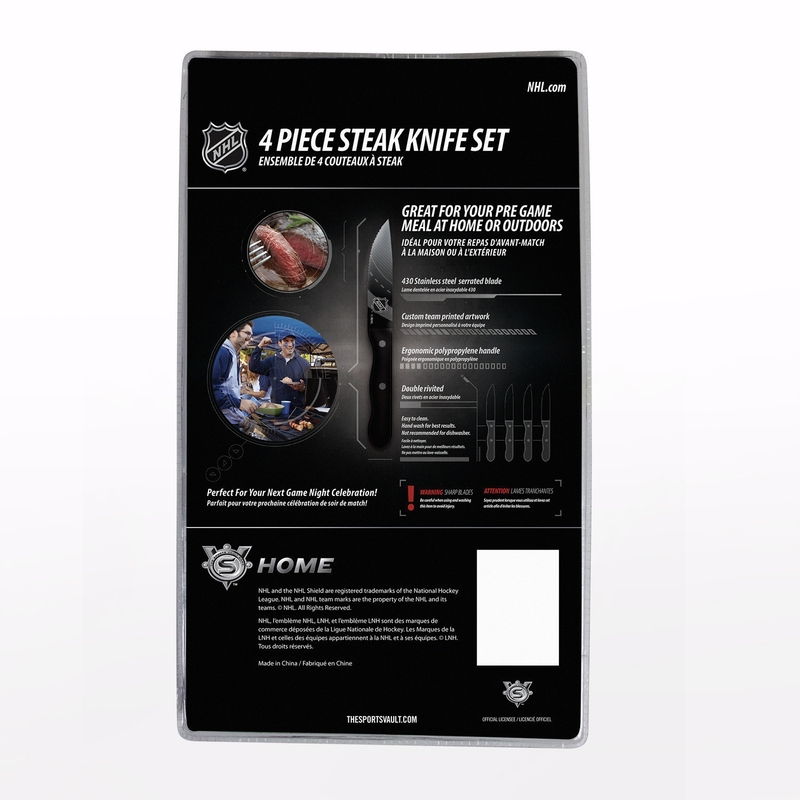 The Pittsburgh Penguins Steak Knives have passed all necessary food and safety regulations. This Steel City-tough set will be an Mpv in your starting silverware line at the next tailgate party. Whether you add it to your own Penguins collection or gift it to a friend, this flatware set is the perfect way to start your winning streak! 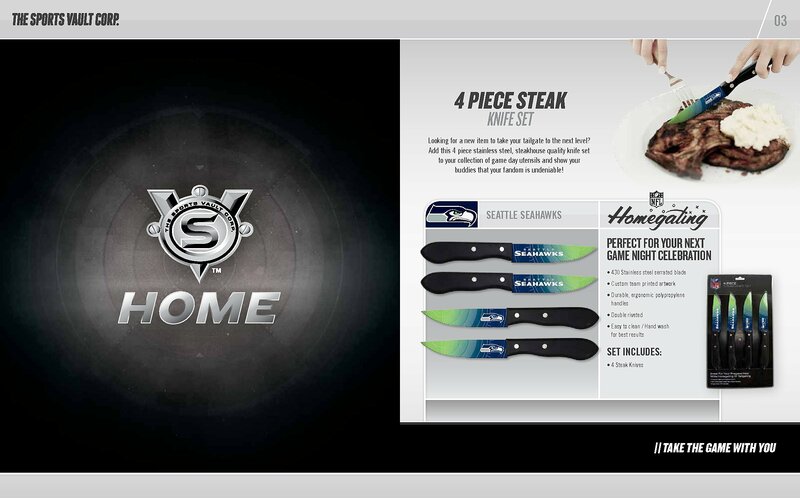 Elevate your silverware lineup and order the Nhl officially-licensed Pittsburgh Penguins Steak Knives Set of 4 today.